Sebastiani cabernet sauvignon review: No-brainer? Hi! Today we examine a 2009 cabernet from Sonoma, California. It’s $11 at Costco and Total Wine, and sells for up to $16 elsewhere. Eleven bucks for a good name like Sebastiani! A no-brainer, right? A reasonable answer is “yes,” but for me, it’s no. Here’s why: Generic California Red Wine Taste. Mass-produced. Oaky-sweet. Actually, it’s not bad — a little spicy, smells like rhubarb pie, and has good mouthfeel with blueberry and reminders of cherry, raspberry, cocoa and cinnamon on your tongue. At a modest 13.5% alcohol, this would work at a barbecue or with pizza. And if you’re throwing an upscale party, but don’t have an upscale budget, you might stock up on Sebastiani cab, because it looks upscale. Hello! Tonight we look at a 2009 Napa Valley, California merlot that costs around $15. Look out: here’s an addictive light-to-medium-bodied red wine with a fun label that everybody at the party will love. Blackstone merlot’s former winemaker is behind this. I got a free sample from the winery, and then bought another six bottles. 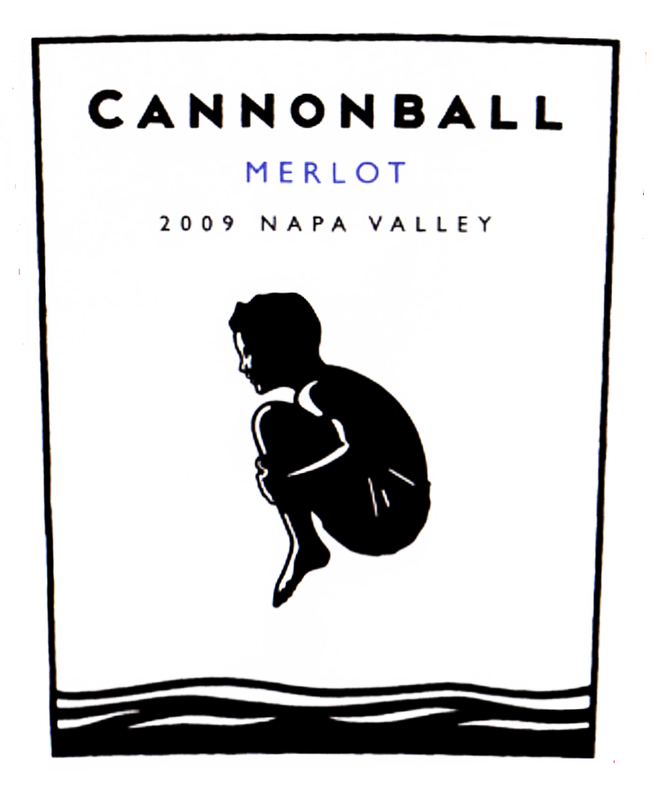 A bit on the sweet side, Cannonball merlot is fun (like your first real cannonball at the pool) and friendly, yet strangely seductive. It smells like a sweet cabernet, and has some cabernet-ish blackcurrant flavors in addition to black cherry, apple, vanilla and cinnamon when it hits your tongue. EDIT: I recently took this wine to a blind wine tasting featuring 16 wines from around the world. I didn’t even know if it was included in the 8 wines I tasted. On a scale of 1 (horrible) to 5 (incredibly great), I rated everything a 1, 2, or 3. Except one wine, which I rated a 4, and wrote “Nice! !” Yes, it was this Cannonball merlot. Categories : -----merlot, 1 All, 3 Reds, 5 $15-$30, 9 Recommended, Bring to a party! Oyster Bay merlot review: YES OYSTER! Today we review a 2007 merlot from New Zealand that costs around $13. This glass of medium-bodied Oyster Bay merlot really reminds me of the beach. Not a pristine white sand / blue water beach, but a fishing beach. Lots of thick rope, metal buckets, and shellfish. Today we review a 2009 blend of 75% merlot, 25% cabernet sauvignon from France. It’s $10 at Total Wine. Dried cherry and coffee. Lots of dry cocoa-like tannins on the finish. Almost bitter, yet has a soft leathery texture. Serious. Elegant. Medium bodied. Understated. Tastes “tight” and too reserved when first opened, gets better on day 2. This dark burgundy-red wine from Bordeaux is absolutely killer for $10. I say give it a try, especially if you don’t drink French wine. Maybe pop open a Washington or California merlot to go with it. Compare and contrast. Let us know what you think! Barista pinotage review: coffee, anyone? Today we review a 2009 pinotage from South Africa that cost me $14.99. John at Premier Wine in Wilmington, Delaware recommended this robust red wine to me, and he was dead on. Barista, as he stated, is the most espresso-like wine you will probably ever taste. The aroma is like a hearty cabernet sauvignon combined with coffee liqueur. In the mouth, Barista is medium-bodied, with prominent mouth-drying tannins and flavors of espresso, combined with black cherry and rhubarb, and just a hint of dusty, unsweetened dark chocolate. Really quite amazing. Categories : -----blends / other, 1 All, 3 Reds, 6 Under $15, 9 Recommended, Bring to a party! Today we check out a 2009 pinot noir from California’s Santa Lucia Highlands area. Price — that’s a mystery, to be revealed below. Whoo!! Baby, this wine is hot. Actually, it’s slightly chilled, for maximum enjoyment. But Paris Hilton and anybody else with taste buds will tell you, Hahn SLH pinot is hot. Spicy. Bright, fruit-forward, and interesting. Smells like caramel and rhubarb. Tastes like spiced dark raspberries and cola. Medium-bodied and sensual in your mouth. Missing the floral notes of many French and Oregon pinots. I don’t know the price, because Hahn sent it to me. I’m going to guess. An Oregon pinot like this would be $40, except there are no Oregon pinots like this. Since this is from the up-and-coming Santa Lucia Highlands, I’ll say lower. Even though its taste could easily command $30, I’ll say $23 because Hahn wines seem to be a great value in general. Hi! Today we are reviewing a 2009 merlot from Washington State that is $13 at Costco. OK Washington merlot is supposed to be sweet and jammy. This merlot IS kind of sweet, because it’s very fruit-forward. But it’s also a little spicy, and has some leather/chocolate going on. Maybe a tiny bit of tobacco. At $13, I give it a thumbs-up. It’s not “great”, but it is definitely nice, and does not do anything wrong if you like warm, jammy, velvety merlot. BUT — there’s a caveat. You really have to let it breathe, for at least an hour. When you first open it, the only thing you will smell is alcohol, and it will be almost tasteless. Just takes a while to open up.